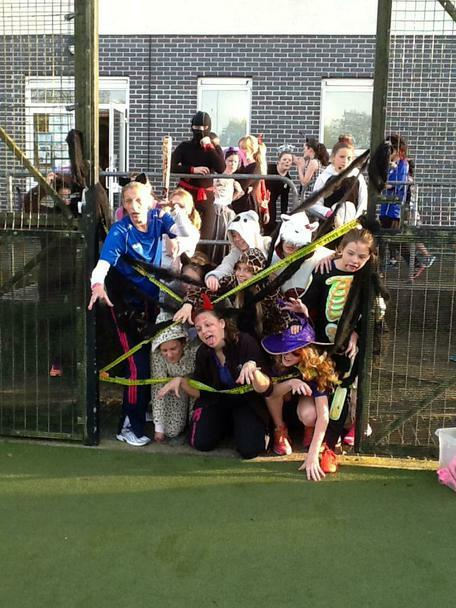 On Monday 31st October Miss Goldsworthy and the Year 11 GCSE Sports Leaders ran a fancy dress netball tournament to raise money to buy a set of netball dresses for the Year 7 and 8 team. Each member of the netball team brought in a raffle prize and sold tickets to help raise the money needed. Amazingly we managed to raise £411, which is enough to buy a set of dresses for both Year 7 and 8! A big thank you to the Year 11 GCSE leaders who did an excellent job running the tournament which also included some spooky Halloween fun such as running the gauntlet and searching for spiders and mice in a bucket full of slime! Best fancy dress was won by Holly. The runners up were Amelia Wilson and Grace.